Selecting a wood floor contractor in Yorba Linda doesn't need to be stressful or overly complicated. You only need to find a company with a strong reputation, years of professional experience, and fair pricing. At Carter Wood Floors, we have worked extremely hard over the last 30 years to ensure that we are Yorba Linda's best choice for quality hardwood flooring services. We have refinished, restored, sold, installed, repaired, and reconditioned tens of thousands of wood floors and have the experience and expertise to meet any residential or commercial hardwood flooring need. Our thousands of satisfied customers and high rate of customer referrals stand as a testament to our capabilities and skill. In fact, when it comes to onsite custom refinishing and installation, no one does it better. By working with Carter Wood Floors, you'll work with seasoned industry professionals, each of whom specializes in a specific wood floor service, such as sanding/buffing, coating, sales, or installation. Because we have cultivated specialists rather than generalists, our expertise is focused rather than diluted. As a result, our skilled master craftsmen are able to produce new and restored hardwood floors of unrivaled beauty, durability, and quality. 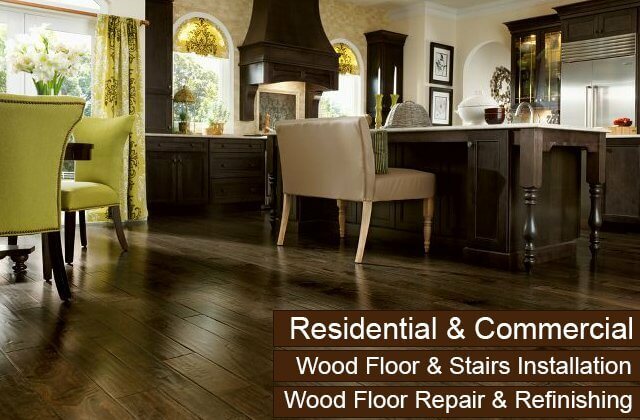 Call today to schedule your free onsite hardwood flooring consultation in Yorba Linda. Our normal business hours are 7am to 5pm but we're available anytime to take your calls. 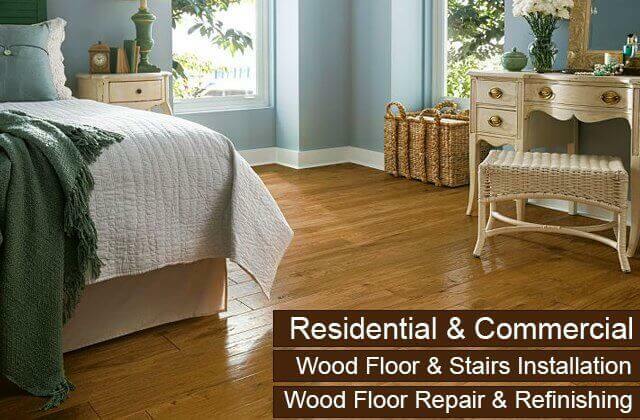 Carter Wood Floors is licensed, bonded, and insured, and accepts cash, check, MasterCard, and Visa. 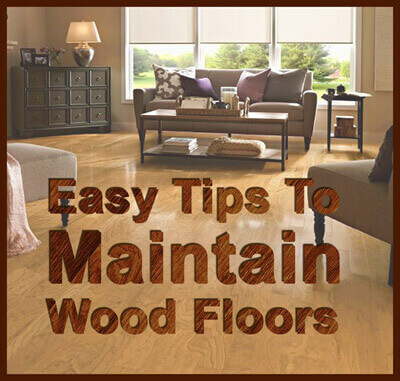 With proper maintenance, hardwood floors can last a lifetime. That's why it is important to regularly vacuum and dust your floors, place mats near exterior doors, install felt protectors on the feet of furniture, and apply new coats of finish as your floors age or become dull. At Carter Wood Floors, we highly recommend that you invest in recoating before your floors start to show significant signs of wear as it will prolong the life of your floors and save you money in the long run. Recoating involves deeply cleaning and then screening your hardwood floor before applying a new coat of protective finish. This ensures that your floor's topcoat will fully adhere to your floor's surface and be free of contaminants. The benefits of a recoat are that it fills in imperfections and small scratches, revives the look of your floor, and protects it. 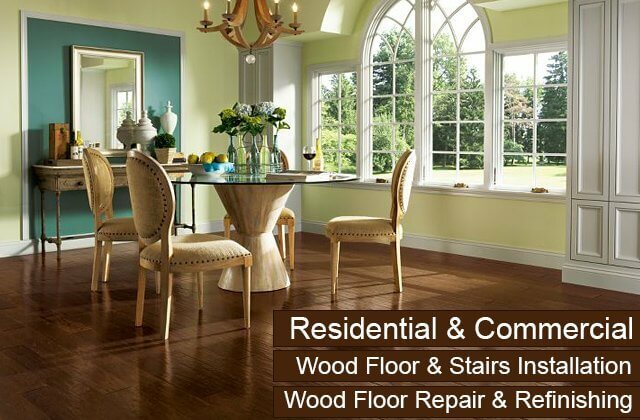 Call today to have the finishing experts at Carter Wood Floors recoat your hardwood floors in Yorba Linda. 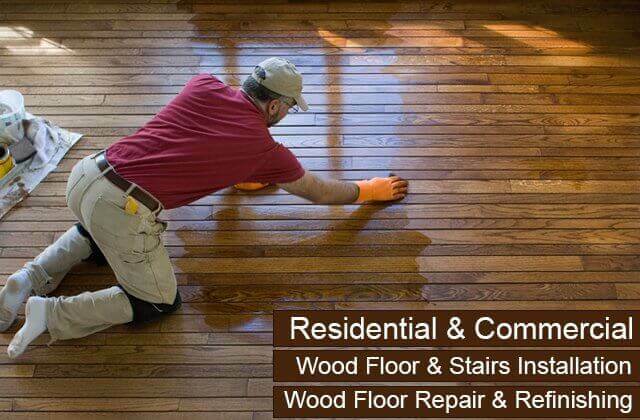 Our wood floor recoating service is competitively priced and quickly implemented. If your hardwood floor is starting to look dull and/or worn, call Carter Wood Floors. A lackluster floor usually means that the finish is beginning to wear away and that recoating or refinishing is necessary. To determine what type of restoration service your floor needs, our professionals can come out to your Yorba Linda home or business to assess your floor. If caught early enough, your floor may only require a light screening and a coat of finish. However, if your finish has completely worn away, dirt and spills have started to penetrate the wood, and your wood is looking uneven and lifeless, then refinishing is likely necessary to fully restore your hardwood floor. At Carter Wood Floors, we specialize in restoring and refinishing heavily worn or old floors (even pre-1960s floors made with old growth wood). Our refinishing service features thorough sanding and buffing, skilled staining and finishing, and expert repairs--all performed by our own highly trained floor professionals. Call us today for superior hardwood floor refinishing and restoration in Yorba Linda. 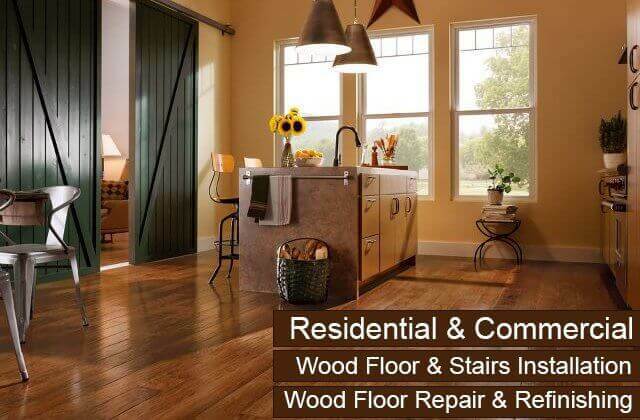 We'll schedule a time to visit your home or business, measure the square footage of your floor, present color options, provide a price quote, and set up an appointment for refinishing service at your earliest convenience. Carter Wood Floors is proud to offer its residential and commercial clients in Yorba Linda solid and engineered hardwood floors from Robbins, Mullican, Garrison, and Bruce. 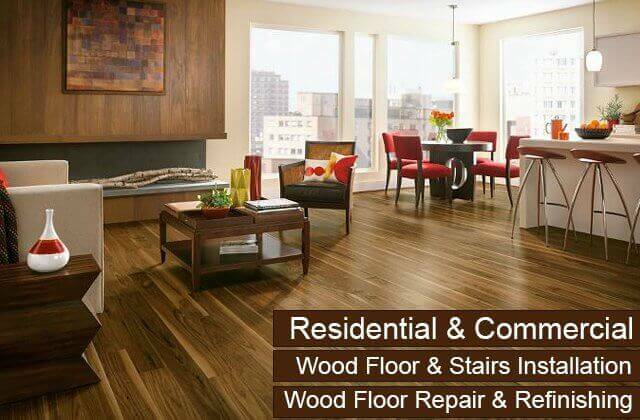 These four manufacturers are renowned for their lines of exceptionally beautiful and durable, finished and unfinished floors made out of premium grade ash, birch, cherry, hickory, maple, oak, pecan, walnut, and exotic woods. Their prefinished wood floors are available in hand-scraped, distressed, parquet, specialty, or traditional styles; low, medium, or high gloss; and less-than-three-inch, standard, wide, or mixed-width planks. Prefinished wood floors make it possible for our Yorba Linda customers to find a floor that readily meets their needs and have it installed with minimal inconvenience. On the other hand, unfinished wood flooring is generally sanded, stained, and finished on site, which means that there will be substantial noise and some dust to deal with during installation. However, the tradeoff is that you can have your hardwood floors customized to look exactly the way you want them. Plus, with our expertise in custom cutting and installing unfinished wood floors, your new or replacement floor will fit better than a factory-finished floor, and can even feature special touches, such as medallions and inlays. No matter which type of wood floor you select for your Yorba Linda home or business, Carter Wood Floors will give you a high-quality, gorgeous hardwood floor that can last a lifetime with proper care and maintenance at a price that is surprisingly competitive. Call today for a free quote. 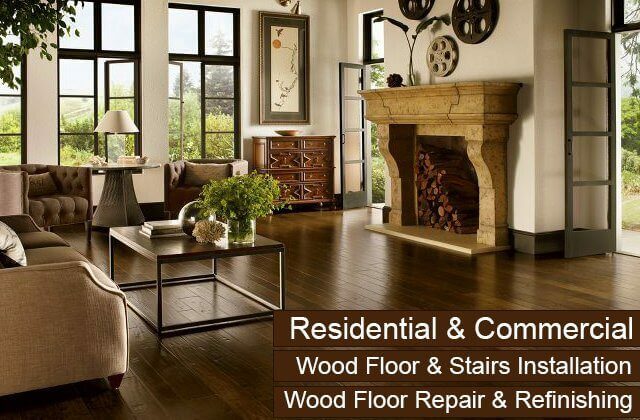 At Carter Wood Floors, we offer Yorba Linda superior hardwood floor repair services at cost-effective prices. Our repair services are the perfect solution for our residential and commercial customers whose hardwood floors have been damaged by water, moisture, pet urine, termites, extensive sun exposure, or heavy traffic. We always look for the most cost-effective solution that will yield the best and longest lasting results possible. 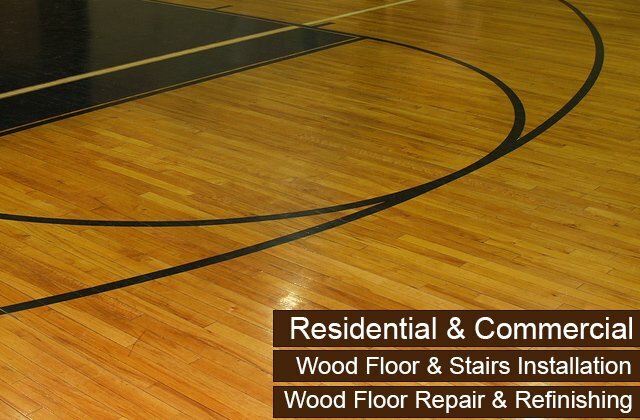 Based upon our floor assessment, our hardwood floor repair service might involve a quick touch up, sanding and refinishing, or complete board replacement. Since we excel at both unfinished wood floor installation as well as sanding and coating, you can trust us to meet all of your hardwood floor repair needs in Yorba Linda. Call today for an honest floor assessment. Carter Wood Floors offers the best value in staircase remodeling to Yorba Linda home and business owners. We can convert carpeted stairs of any design into gorgeous, long-lasting hardwood stairs in just three to five days for a surprisingly low price. Our wood selection comes from Mullican, Garrison, Bruce, and Robbins, trusted manufacturers who offer a wide range of high-quality, prefinished and unfinished wood flooring options to fit nearly every budget. In general, we recommend having unfinished wood installed on stairs, because even though it is more labor intensive, doing so will ensure that your wood fits your stairs perfectly and reaches the exact color, sheen, and look that you want. It also makes it possible for us to perfectly match your new wood stairs to any pre-existing hardwood flooring. As part of our staircase remodeling service, we can even install custom wood balusters and handrails. Call today to schedule a free staircase remodeling consultation at your Yorba Linda home or business.